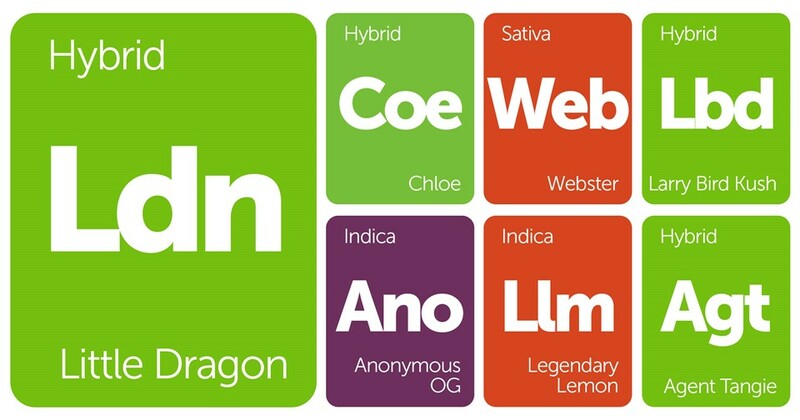 This week at Leafly we've added an assortment of great strains. Inside this stanky goody bag you'll find an 80's sitcom star, a hacktivist group, a tiny mythological lizard, a member of the 1992 Olympic "Dream Team," an agent, a lady, and a lemon that can only be described as "legendary." 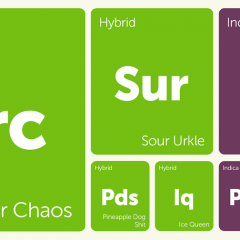 Enjoy this week's New Strains Alert and if you've had the pleasure of trying any of these strains, stop by and share your experiences here. Larry Bird Kush is a nearly perfect 50/50 hybrid strain named after the famous Boston Celtics basketball player. This strain combines Sunset Sherbet and Thin Mint GSC (f.k.a Girl Scout Cookies) from the famous West Coast tastemakers Cookie Fam Genetics. The aroma of “The Great White Hope” is thick with sweet grape tang reminiscent of Grape Crush. Deep purple sugar leaves and a dense layer of trichomes illustrate the strain’s indica parentage. LBK’s effects are more uplifting and heady, making it a perfect strain for consumers looking for an indica flavor and smell while retaining physical sativa effects. The 3C Anonymous OG greets the nose with distinctive woodsy, citrus, diesel scent that indica connoisseurs all know and love. Anonymous OG is a 3C Farms select cut of 3C Kushishima. Its round dense buds are wrapped in deep green calyxes that drip with resin and glitter with trichomes. 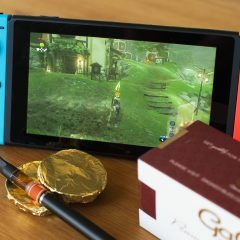 The flavor is deep, satisfying the most refined palate. This strain is incredibly relaxing and sedative, and should be consumed in the evening for best results. Chloe is a powerful and mysterious sativa-dominant hybrid created by Chris Wren of Medizin, Las Vegas. This strain won 1st place at the International Cannagraphic Magazine Cup in 2015 and has since gone on to accrue local renown and praise for its incredible medicinal qualities. Even though this strain leans 60/40 sativa-dominant, it possesses potency and physical sedation that can lull the most experienced person to sleep with continued consumption. Chloe is also a welcome companion for patients seeking relief from a wide variety of ailments, including loss of appetite and chronic pain. Little Dragon offers a more citrus-forward Kush experience, blending OG Kush, Colombian, and Thai genetics. 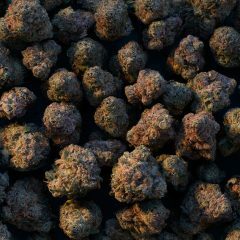 While OG Kush anchors the physical effects with mid-level pain relief and a general heaviness in the limbs, the Central American and Southeast Asian genetics explode on the palate and offer complementary mental stimulation. Enjoy Little Dragon as a functional analgesic strain that shows off its flavorful exotic roots on the exhale.